Wesley Bell takes a phone call on August 7, minutes before declaring victory over St. Louis County prosecutor Bob McCulloch. 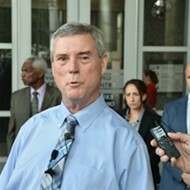 For the first time in nearly three decades, St. Louis County will soon have a prosecuting attorney not named Bob McCulloch. But one assistant prosecutor in the office isn't too thrilled with the prospect of getting a new boss. 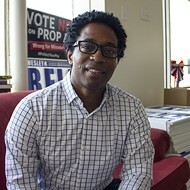 On August 7, McCulloch was handed a primary election defeat by Ferguson city councilman Wesley Bell. It was a stunning upset in which voters chose to replace McCulloch, a standard-bearer of law-and-order policies, with a candidate whose backers included a coalition of protesters and criminal justice reform activists. The day after the election, Ed McSweeney, an assistant prosecutor in the office under McCulloch, responded to a friend who'd posted on McSweeney's wall, "Our condolence on the election." In the ensuing thread, McSweeney, himself a veteran prosecutor of more than 30 years, didn't show much deference to Bell. Instead, McSweeney took some potshots. "My boss was shockingly defeated in Tuesday's primary after 28 years. Defeated by a Ferguson councilman with no trial experience," McSweeney wrote in the thread while responding to a follow-up question about the election. He added in a subsequent reply, "County voters will soon regret what they did. We are going to turn into another STL city." Granted, the fact that McSweeney wanted his longtime boss to win an additional term in office is understandable and, on its own, unremarkable. But in screenshots of the thread provided to RFT, McSweeney described the prospect of a new boss in alarmist — and inaccurate — terms. As the thread stretched on, it came to include several comments suggesting county residents would soon flee to further-flung suburbs to get away from Bell. 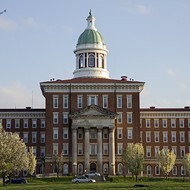 One person wrote, "The population of St. Charles and Jefferson County are both about to go up." Another quipped, "The westward expansion will continue!" Another commenter, shedding any pretense of subtext, simply wrote, "The only people who will benefit this debauchery will be the criminal element and enhanced corruption!" Basically, the thread turned into the sort of comment section you'd find under any recent news story about Bell's win. (And if the past is any indication, that will also include the comment section under this story.) The difference on McSweeney's Facebook wall, of course, was that the discourse was joined by an actual prosecutor who will soon work under Bell. That didn't go unnoticed by others in McSweeney's orbit. Three defense attorneys jumped into the thread to defend Bell's record, pointing out that McSweeney's contention that Bell had "no trial experience" was flat-out wrong. Incredibly, McSweeney responded by tagging Bell, writing, "My apologies. 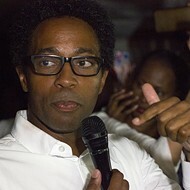 Wesley Bell, what is your felony trial experience?" Which leads us to the craziest part of this whole exchange: Bell is, in fact, a Facebook friend of McSweeney's. Or perhaps we should say "friend." Bell did not reply to the thread. 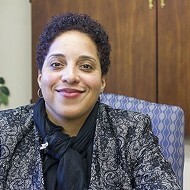 In a statement to RFT on Tuesday, Carol Christie, Bell campaign's transition spokeswoman, says that Bell's experience as a municipal prosecutor, judge and criminal justice professor "uniquely qualifies him to fulfill the important responsibilities that come with serving the people of St. Louis County as prosecuting attorney in a fair and just manner." And yes, Bell does have felony trial experience, although that experience came as a defense attorney, not as a prosecutor. "Wesley has been a litigator for seventeen years," Christie points out. "He has extensive trial experience, having tried over 75 misdemeanor and felony cases, including 30 to 40 jury trials." 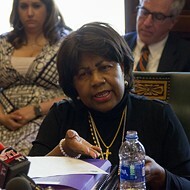 As for the other criticisms of Bell on the thread, including comparisons with St. Louis Circuit Attorney Kim Gardner, Christie said that Bell and the transition team have more important things to worry about. "We think he should be given a chance to do the job for which he's elected," she said. "There's going to be a lot of talk. He's got a job to do, and that's going to be his focus." McSweeney, who has worked in the county prosecutor's office for more than 30 years, did not respond to an email or voicemail at his office yesterday. However, it's also worth noting that the thread featured two additional assistant prosecutors. One, Tanisha Bull, posed a question about McCulloch: "Just curious, does anyone know how much experience Mr. McCulloch had when he first ran for office? Asking for a friend. Also, did people move away [then]?" Beneath Bull's remark, someone posted a snippet of McCulloch's resume — he had worked seven years as an assistant prosecutor under then-Prosecuting Attorney Buzz Westfall before briefly leaving the office to establish a private practice. McCulloch was first elected to lead the office in 1991. "[Seven] years experience," Bull wrote. "Left and then ran. I guess that's an eternity." 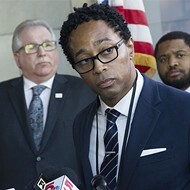 St. Louis County assistant prosecutor Kimberly Kilgore also appeared in the thread and attempted to strike a conciliatory tone. "Everyone should keep an open mind!" Kilgore wrote. "This man, Wesley, has courageously taken advantage of our democratic process." She went on to note that Bell's father was a police officer and had shown leadership ability during the campaign, and it was "doubtful he would work so hard or be so passionate to destroy himself or his position." 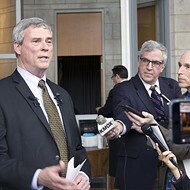 Kilgore's response suggested that Bell's campaign has some prosecutors worried. "I am hopeful that some of his election rhetoric will change once he sees how talented, dedicated and selfless many of the attorneys and LEO we work with are!" Kilgore wrote, adding. "But time will tell!" Update, January 2, 2019: McSweeney's Facebook posts apparently left an impression on Bell, who took action today by cleaning his house of veteran prosecutor and others. In an interview, McSweeney confirmed to the St. Louis Post-Dispatch that he has been "suspended pending termination." 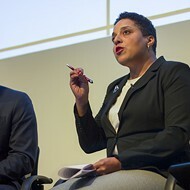 McSweeney is one of three prosecutors in the office to face termination or suspension today, among them assistant prosecutor Kathi Alizadeh, who acted as the lead prosecutor during the 2014 grand jury that returned a "no bill" against then-Ferguson officer Darren Wilson for killing Michael Brown.